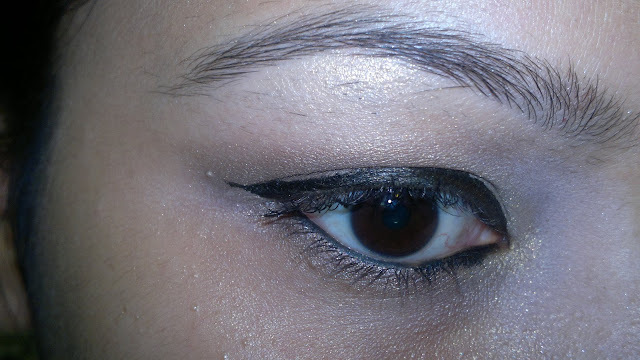 This is the second of the festive makeup tutorials I came up with (read the first one HERE). 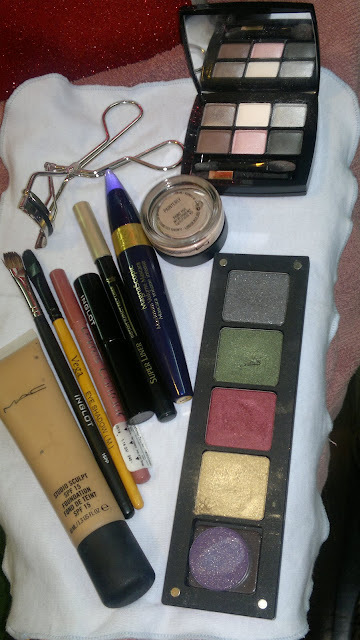 For this one I decides to stick with gold and brown / bronze eye colors, as this look could be paired with any sort of blingy outfit and make you look glamorous. 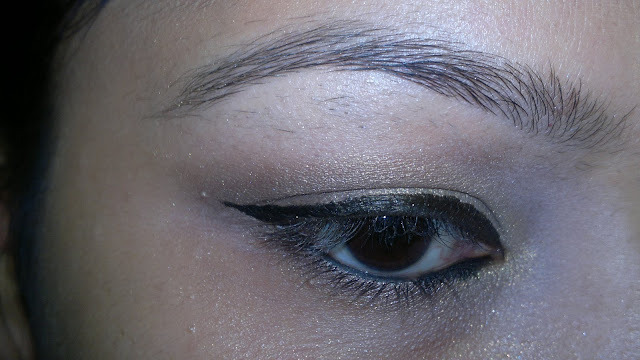 The makeup itself is simple to do and would look good with most of your festive outfits. 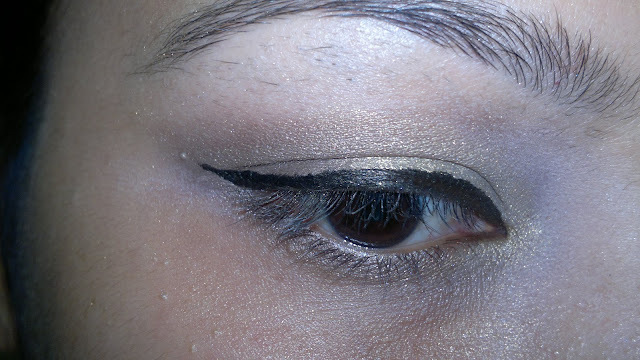 Step 1: Primed my eyelids with MAC Painterly Paint Pot. 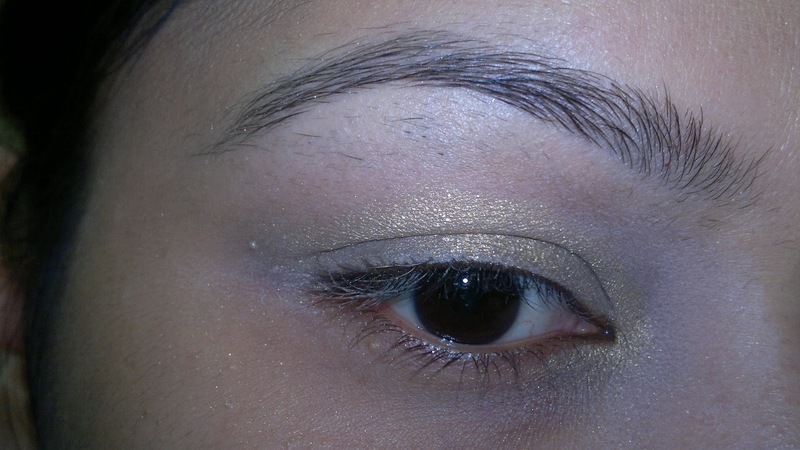 Step 2: Apply golden eyeshadow on the upper eyelid and near the tear duct. 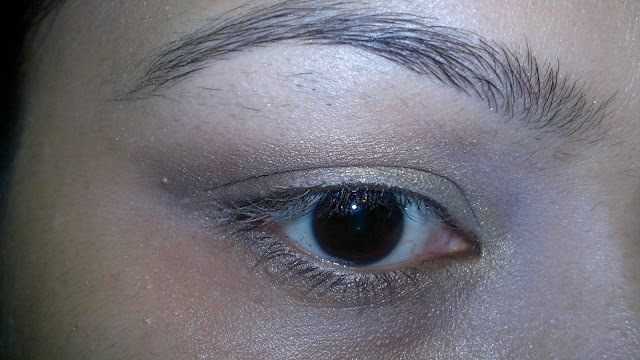 Step 3: Apply bronze / brown eyeshadow at the outer corner and crease. Blend to remove any harsh edges. Step 4: Apply the brown / bronze eyeshadow at the lower lash line. Step 5: Apply black eyeliner at the upper lash line and winged it at the outer corners. Step 6: Applied kohl on the lower waterline. 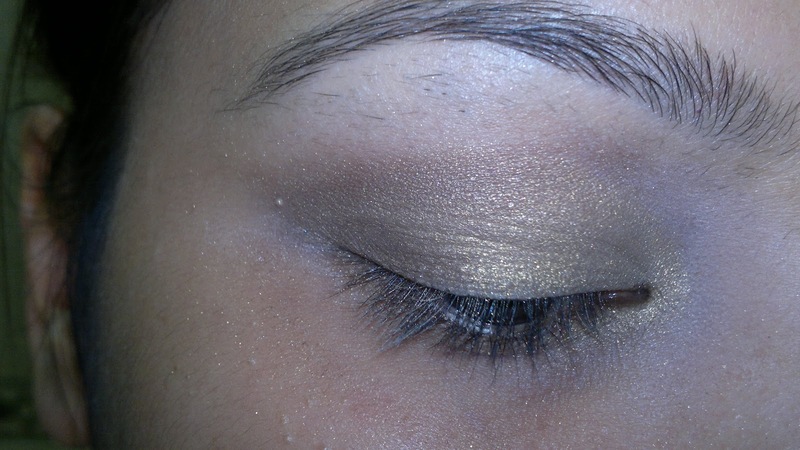 Step 7: Applied a little bit of golden eyeshadow on the brow bone as highlighter. 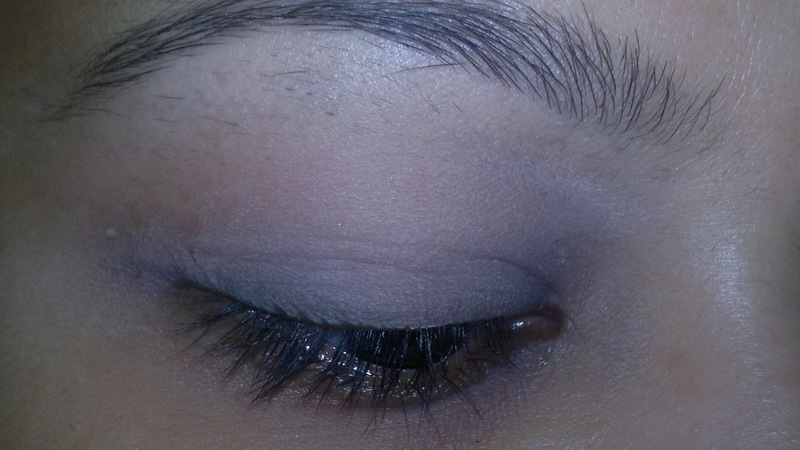 Curl lashes and apply mascara. Filled in my eyebrows after my foundation was done. 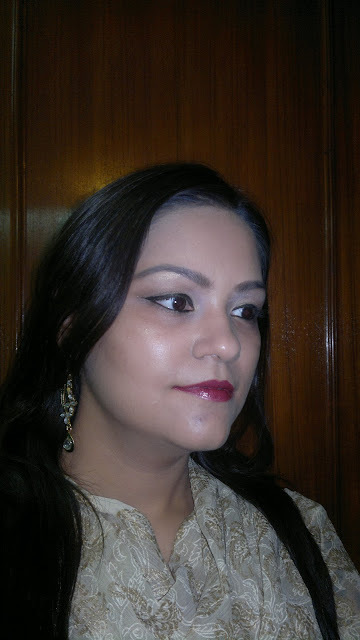 In keeping with the festivities, I decided to keep the face glowly and bronzy. For that I applied foundation all over the face. Didn't use a blush instead applied a brown eyeshadow as bronzer below my cheek planes, sides of the nose and on my jawline. Blended well. Next applied the golden eyeshadow as highlighter on the high points of my cheeks, middle of the forehead, and on my cupids bow (lips). 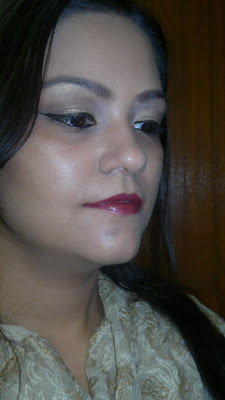 Lined and filled my lips with Bourjois lip liner, and applied Inglot slim gel lipstick on top. 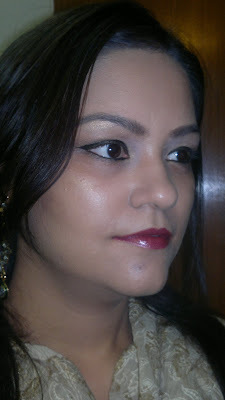 This is the most gorgeous festive / bridal red lipstick with golden shimmers. Looks very classy in person. The texture of the lipstick is very hydrating and it is quiet long lasting. Hope you girls like the look. Do let me know what are you wearing this Diwali!! !